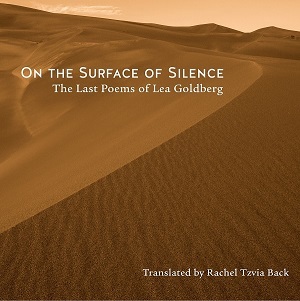 Rachel Tzvia Back talks about her new translation of the poems of Lea Goldberg on the World Literature Today blog. [I]t was only after Goldberg’s untimely death in 1970, when her friend, fellow poet, and literary executor Tuvia Ruebner combed through her notebooks, that the full boldness of Goldberg’s new poetic direction was discovered. The poems in these notebooks, Goldberg’s late and last poems, offer an entirely new poetics—a poetics of experimentation, lyrical distillation, and modern sensibility that marks them as utterly distinctive in the poet’s oeuvre. Read her whole blog post here, and order your copy of On the Surface of Silence here!